You sit up suddenly in a cold sweat, and scream. But you're in bed, and it was just a bad dream. Sighing with relief, you get up, get dressed, go to work, and turn on your PC. Then you sit up suddenly in a cold sweat, and scream--but this time, it's not a dream. It's a Windows nightmare. Compared with its predecessors, Windows 7 is remarkably secure and dependable. It's far from perfect, though: An unbootable PC, a nasty piece of malware, or a single but important file gone missing can make you lose days or even months of work. And you can't solve every nightmare by waking up. If turning on your PC doesn't bring you into Windows, try booting from a Windows 7 DVD or a recovery disc. 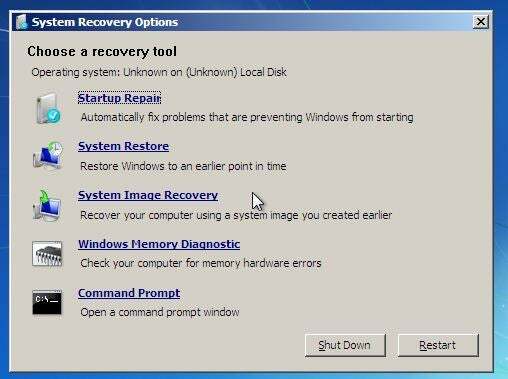 Boot from a Windows 7 System Repair Disc, and you'll find tools to heal an unbootable PC. You may already have the DVD. If Windows 7 didn't come with your computer but you installed it yourself, you have the disc. If you don't have it, you can borrow someone else's disc. Alternatively you can borrow someone else's Windows 7 computer and use it to create a System Repair Disc (you can also do this on your own PC before it has a problem). To create the disc, click Start, type system repair, select Create a System Repair Disc, and follow the prompts. If your computer won't boot from the CD, go into its setup screen and change the boot order so that the optical or CD/DVD drive comes before the hard drive. I can't tell you exactly how to do this since it differs from one PC to another. When you first turn on the computer, look for an on-screen message telling you to press a particular key 'for setup'. If your PC fails before you can enter setup or boot from a CD, you have a hardware problem. If you're not comfortable working inside a PC, take it to a professional. But let's assume that the CD boots. When it does, follow the prompts. Likely the utility will tell you very soon that there's a problem, and it will ask if you want to fix the problem. You do. If it doesn't ask you, or if the disc can't fix the issue, you'll see a menu with various options. Startup Repair and System Restore are both worth trying. If Windows can't boot because the PC can't read the hard drive, none of the solutions above will work. But that's not the worst of it: Unless you have a very up-to-date backup (and shame on you if you don't), all of your files are locked away on a possibly dead hard drive. Secondary drives you don't boot off of, both internal and external, also can die with important data locked away on them. If you can't access your hard drive, Recover My Files might be able to do what its name implies. If the drive is making noises that you've never heard before, shut off the PC immediately. In that case you have only one possible solution, and it's expensive: Send the drive to a data-retrieval service. Drivesavers and Kroll Ontrack are the best known, although they're not necessarily better than smaller, cheaper companies. Expect to pay hundreds or even thousands of dollars. 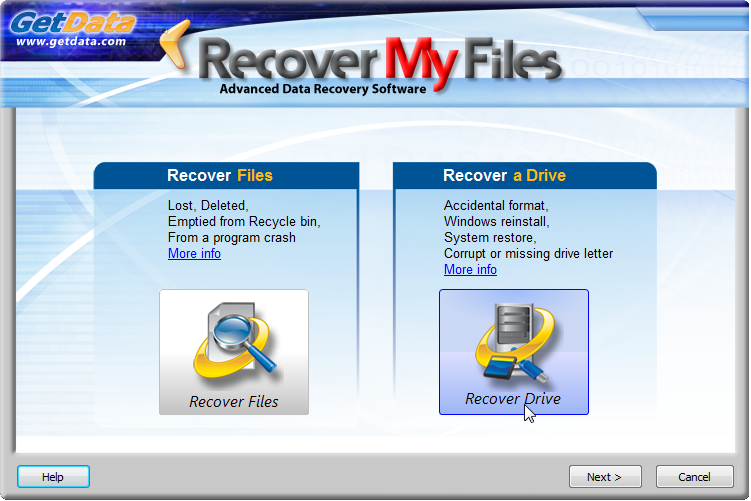 If your drive sounds okay, however, you may be able to recover the files for only $70 with GetData's Recover My Files. If the sick drive is the one you use to boot Windows, you'll have to remove it from the PC and access it on another computer. You can do so by making it a secondary drive in a desktop PC, or by using a SATA-USB adapter such as the Bytecc USB 2.0 to IDE/SATA Adapter Kit. The free, demo version of Recover My Files will show you which files can be recovered (almost all of them, when I tested it) and even display their contents. Once you've paid the $70 license fee, the program can copy the files to another drive. If that doesn't work, you'll need to use a retrieval service. BlueScreenView can show what Windows was doing before disaster struck. One second you're working productively, the next you're staring at a blue screen filled with meaningless white text. If it happens occasionally, you curse, reboot, and get on with your work. If it happens regularly, you have a problem that needs fixing. Windows 7 keeps logs of these "Stop Errors." (That's Microsoft's term; everyone else calls them "Blue Screens of Death," or BSoDs.) 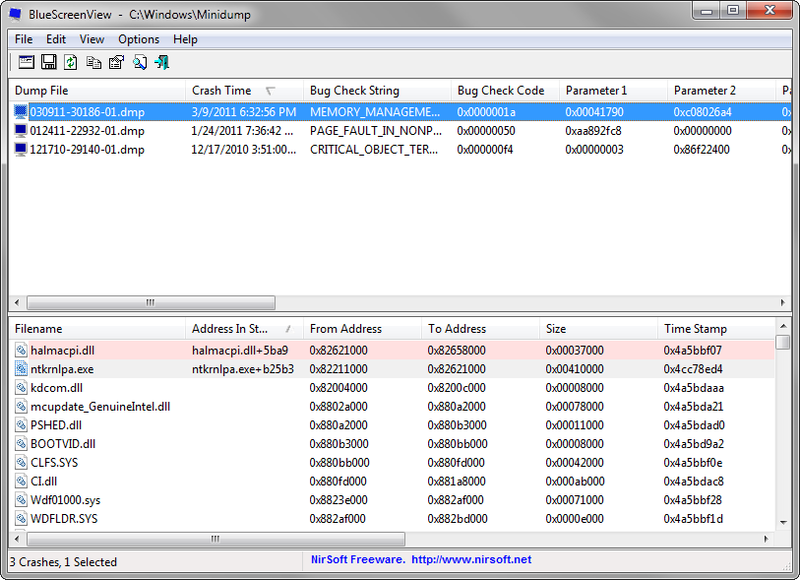 To view the logs and make sense of them, download and run BlueScreenView, a free, portable program by NirSoft (portable means you don't have to install it). The program shows you what drivers were running at the time of the crash, and highlights the likeliest suspects. If the same drivers come up from multiple crashes, you should definitely update them. Speaking of updating drivers, you should make sure that all of them are current. 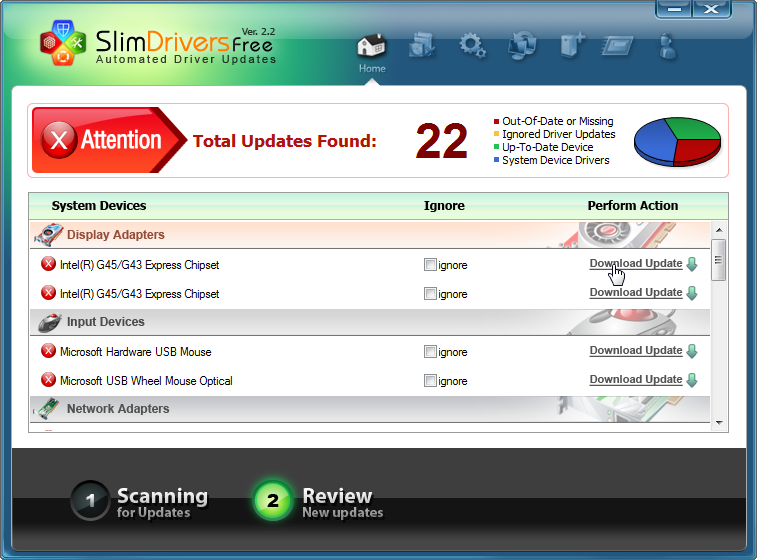 SlimWare Utilities' free SlimDrivers makes this chore remarkably easy, as it scans Windows and lists which drivers need to be updated. If you register (that's free, too), it will find the drivers and run the update for you. It even offers to create a restore point before each update. Don't update all of your drivers at once, however; if you do, and one of them makes things worse, you'll have a tough time figuring out which one. Frequent BSoDs can also be a sign of hardware problems, especially bad RAM. Although Windows 7 has its own memory-diagnostics program, I prefer the free Memtest86+, which you have to boot separately. You can download the program either as an .iso file--from which you can create a bootable CD--or as an .exe file that will install the program and its bootable operating system onto a flash drive. If the wrong person leaves your company in a huff, one or more PCs could be left stranded. With no one in the company knowing the password to an administrator-level account, you can't install software, change important settings, or possibly access encrypted data. Fortunately, you can remove the password, letting you log on to that account. You do that with the Offline NT Password & Registry Editor, a bootable, text-based free program that you download as an .iso file. Double-click that file, and Windows 7 will start the process of burning it to a CD. Sure your drivers are up-to-date? SlimDrivers can automate this otherwise time-consuming job. Boot the CD and follow these instructions. I've put the on-screen prompts in italics. After you type your answer, press Enter. Select: : Above the prompt you'll see a list of hard-drive partitions. Select the right one by typing that number. You should now be able to log on to the administrator account without a password. For security purposes, don't forget to create a new password for the account. Just be sure to remember what it is. Next page: How do you know whether your PC is infected? What if a file disappears?